an intake air temp sensor. Am I missing any items that I might need in order to boost my M30B34? Would it be more cost effective and less of a headache to switch my car to the Motronic 1.3 system and what would that involve? My car is also the automatic transmission so I do not know if I need any other controllers or extra wiring in order to have everything work. With all of this extra stuff I have to buy would it be less expensive just to go with the Miller War chip or is that chip less capable and not worth moving too? Just looking for advice on how you guys would go about accomplishing what I am trying to do. My goal is around 400 WHP and similar torque figures and I am going to put an MLS Head gasket and APR Studs. I eventually also want to convert to a Getrag 260 so that I can use that power effectively but since the turbo parts were a tough deal to pass on I decided to start with some boost. I think I am taking a slight hiatus on this venture until I find a place to move in June. At this point, I have settled on the Megasquirt with a boost controller. 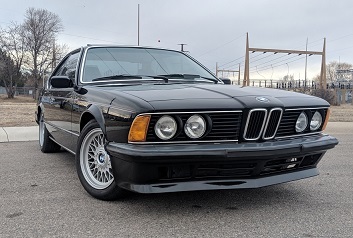 I have some great 745i parts that I got for a great deal a while back, but I also want to convert the car to a manual before dumping too much power into the crank. I just don't have enough room in the house I live in at the moment. Right now I'll work on the beautification from the bumpers your brother sold me . Thank you though tschultz!